Botswana has recently been lauded as the premier safari destination and who are we to argue. With this accolade comes a responsibility to deliver on visitor’s expectations both in terms of a wildlife experience and in terms of services. Whilst the former is down to nature, the latter is something that can easily be managed. To a large extent this expectation comes down to the accommodation and hospitality, and where this is concerned suppliers in Botswana are not ones to stand still. New camps crop up from time to time, and existing camps are constantly being updated – this can be anything from a soft furnishings refurbishment right through to a complete rebuild. As a tour operator it keeps us on our toes too, as we keep our knowledge current in order to give our clients exceptional service. 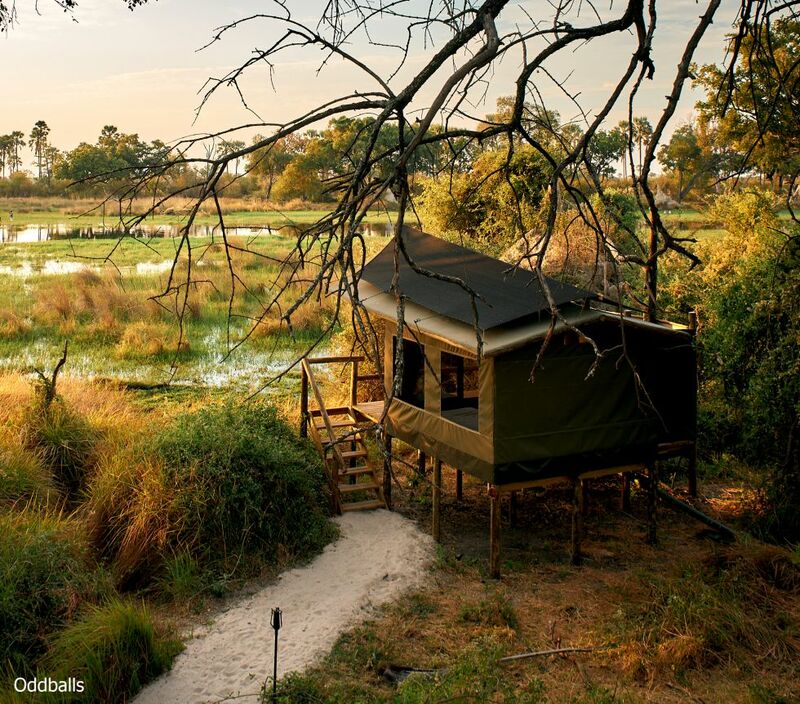 The Kwando concession in the Okavango Delta is home to the well-known Kwara and Little Kwara camps. 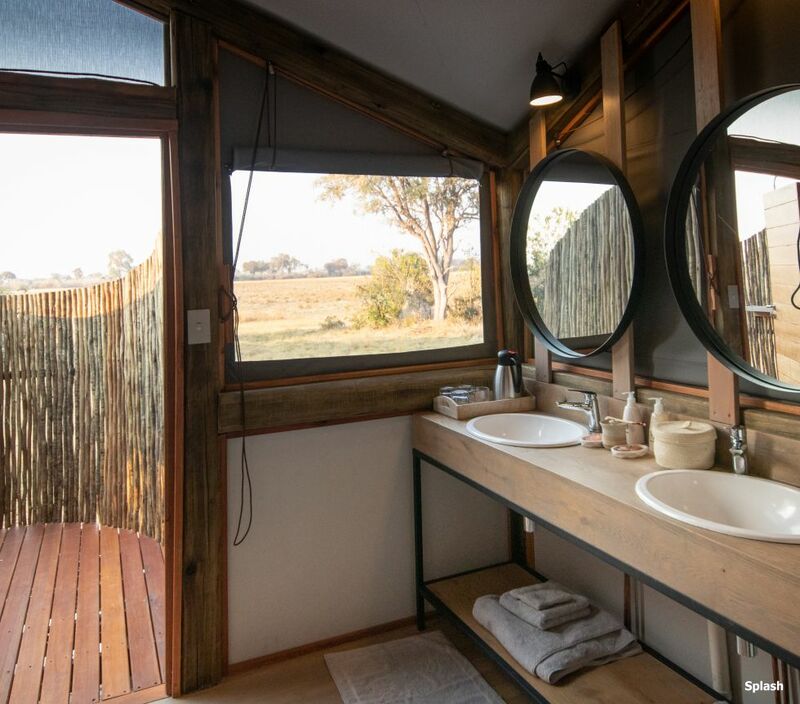 Both of these are currently closed for a complete overhaul, however, this popular concession which is rich in predators, plains game and birdlife alike, is still welcoming visitors in the brand new Splash Camp where raised tents overlook a busy pan. Also new in the Delta are Mma Dinare, sister camp to Rra Dinare which is already proving popular. Wilderness Safaris has added the stylish Qorokwe Camp to their stable, its lovely setting overlooks a lagoon in a private concession. Even camps with excellent reputations cannot afford to stand still. This year saw the complete rebuild of both Mombo and Little Mombo on Chiefs Island. 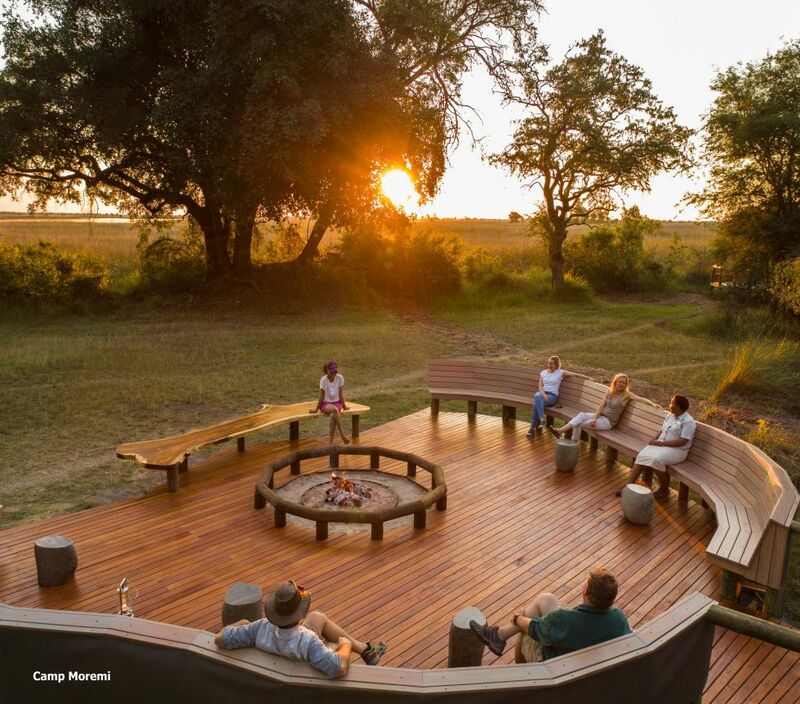 These camps need deep pockets, but deliver superb service, accommodation and the wildlife on Chiefs Island is renowned. 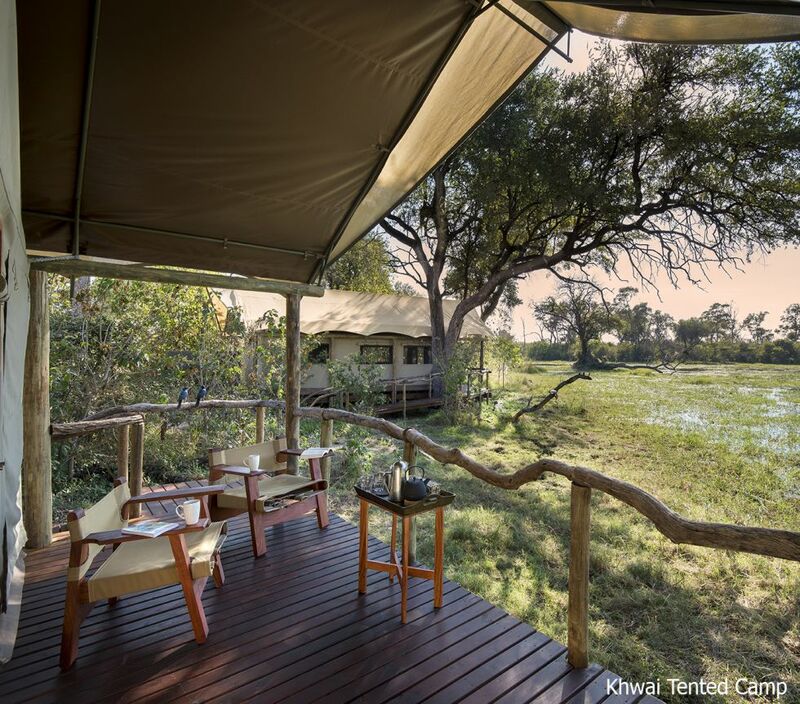 But as you know, Botswana has something for everyone and all budgets, and not to be left behind are Camp Moremi which has been completely rebuilt, and Khwai Tented Camp which has been updated and now sports lovely new guest tents, much larger and more modern than the previous ones. Oddballs has also had a complete upgrade. The tents, on raised decks, are more spacious than before and whilst still simple, they are comfortable and provide visitors with the amenities they need for a great stay on a sensible budget. Don’t think of Botswana as a destination just for those with a big budget, it’s accessible to all travellers. Just drop us a line, and we can put together an itinerary just for you – we tailor make all our itineraries, the ones on our website are there to give you ideas, we re-design or tweak everything to suit you, your wishes, your available time and your budget.